An anhinga (Anhinga anhinga) resting on the roots of a mangrove tree. Sawgrass (Cladium sp.) can be seen in the background. 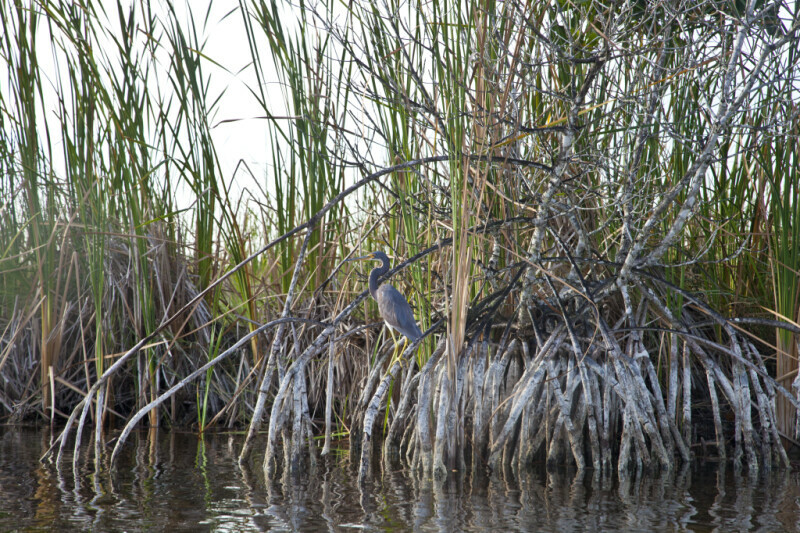 This picture was taken at halfway creek in Everglades National Park.